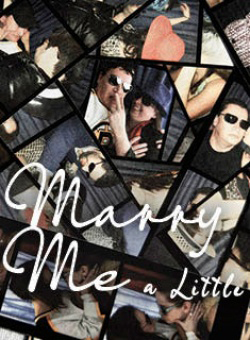 Sondheim's "Marry Me A Little"
New Repertory Theatre will present Stephen Sondheim’s charming musical revue, "Marry Me A Little," from January 7 - 27, in the Charles Mosesian Theater at the Arsenal Center for the Arts, 321 Arsenal Street in Watertown, MA. Conceived and developed by Craig Lucas and Norman Rene, the New Rep production will be directed and choreographed by Ilyse Robbins. The cast features Aimee Doherty, Brad Daniel Peloquin, Erica Spyres and Phil Thayer. "Marry Me A Little" weaves together songs from Sondheim’s vault of unproduced shows with songs cut from some of his best known musicals. Through bittersweet soliloquies and songs, lonely New York singles fantasize romantic adventures, join in emotional conflict, and question the commitment of marriage -- all while never actually meeting. "Marry Me A Little" touts “a treasure trove of rare musical delights,” (San Francisco Chronicle) including songs originally written by Sondheim for "Follies," "A Little Night Music" and "Company," among others. For tickets and information, stop by the box office, call 617-923-8487 or by visit www.newrep.org.